BMW introduced the new generation X5 earlier this year, but you still haven’t seen the best of the SUV. That’s because the automaker is still working on the topping version. 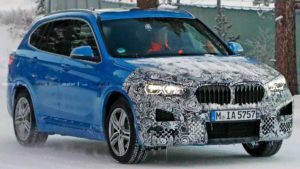 Regardless of the fact that the last prototype of the 2020 BMW X5 M appears to be ready for the official debut even now, that’s not going to happen until early next year. 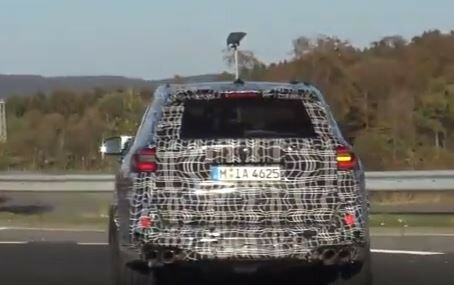 The pre-production model of the X M has been spotted testing at the Nurburgring. The vehicle keeps just its ends beneath some think camouflage, but even so, we see what’s cooking. The redesigned front end seems to get larger air intakes, while the rear bumper hosts signature quad-exhaust tips. The SUV gets notably lowered suspension and huge wheels which are coupled with large tires and beefy tires. The redesigned BMW X5 M will come paired with a 4.4-liter twin-turbocharged V-8 engine. Unofficially, the mighty mill will be capable of producing exactly 600 horsepower and 553 pound-feet of torque. 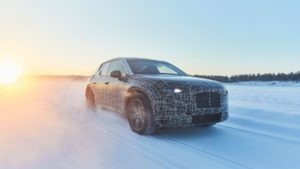 The power will travel to the new M xDrive all-wheel-drive system via an eight-speed automatic transmission. The xDrive has been introduced earlier with the latest M5 model, so we know it has a transfer case that splits the drive torque between front and rear axles. Also, by just a push of a button, the system switches into the rear-wheel-drive mode. Since it’s going to be built on the modular platform that’s called CLAR, the 2020 BMW X5 M will definitely provide a better driving experience. Plus, the lighter chassis should provide a slightly better speed-up time. In case you don’t know, the current X5 M spends around 4 seconds to speed up from 0 to 60 mph. SUV’s top speed will stay limited to 155 mph, though. 2017 VW Tiguan GTE Active Concept: Off-Road and Electric SUV in One Body. Trully Amazing!